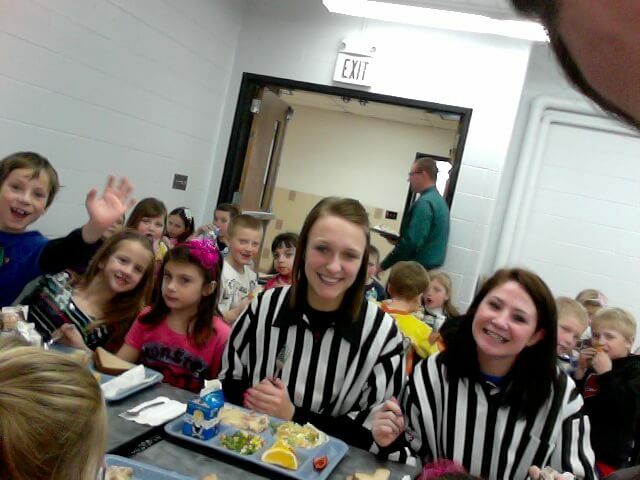 The Riceville FFI team created the “Fruit and Veggie Referees” where the high schoolers from the youth team eat lunch with the elementary and middle school students and coach the students in eating healthy. The younger students really enjoy having the high school students eat with them and they are encouraged to eat their fruits and vegetables at lunch. Last Tuesday, October 16, Mr. Green’s first hour class harvested radishes from the school garden to serve in the lunchroom that day. As part of Homegrown School Lunch week, we were able to enjoy these radishes planted and harvested by students from our very own garden. Riceville is currently in the process of forming a school garden club to plan a garden for next year that will help supply the lunchroom with more locally grown foods and also allow for education about nutrition.